Sri Venkateshwar International School, Sector 18, Dwarka believes in inculcating a strong ethos for Globalism as a step forward in its learning methodology. Keeping in tandem with the same Sri Venkateshwarites participated in a video conference with three schools as part of an initiative of Tony Blair’s Face to Faith Foundation. Ms Jodi Ide ably moderated the session. While interacting with students from the Gems Modern Academy, Dubai; Govt. 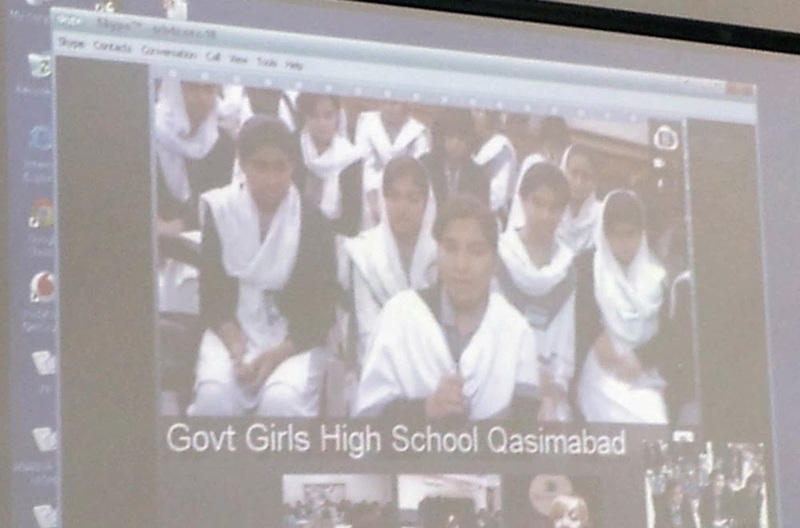 Girls High School, Qasimabad, Pakistan and Tagore International School, New Delhi; the students felt -unlike the so called “land”, the culture and heritage has not been bound to these boundaries and neither has their pride for their nation. After a brief introduction about their student community and their extended community the students exchanged views on festivals celebrated and their significance. SVIS elaborated on the ongoing fervour of Christmas spirit celebrated by all communities imbibing the habit of sharing and caring. They articulately responded to the queries of their counterparts from Qasimabad. As a part of the reflection they felt festivals were an offshoot of the cultural legacy that each nation bestows on its citizens, uniting them and instilling a feeling of pride in them. What resonated back was the echo that each participant school felt the same.